El Al reintroduces closed Miami-Tel Aviv flights, CEO says he hopes Miami will become popular with Israeli tourists. 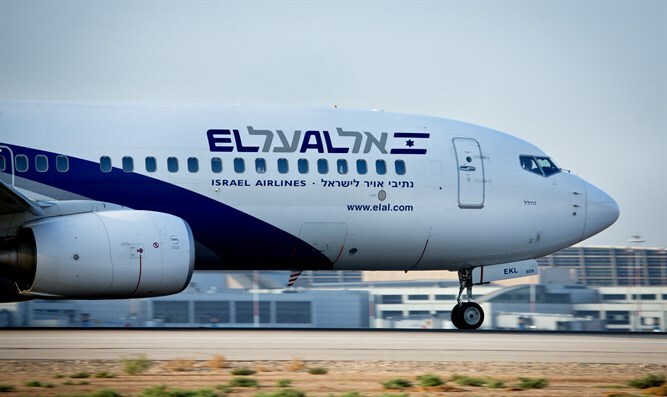 El Al has announced the reintroduction of direct Tel Aviv-Florida flights, which were stopped in 2008. The new flight route will use Boeing 777-200 planes and run three times a week, beginning in November 2017. El Al currently runs 37 weekly flights to and from North America during the summer, and 26 in the winter. El Al CEO David Maimon said, "Opening a new flight route to Miami is an important strategical step which will expand El Al's capacities in North America. Two years ago, we began flying to Boston, and we promised to continue adding additional destinations in North America." "Miami is an important destination for many reasons. First of all - and most importantly - there is a huge Jewish community in Miami, which until now was forced to use connecting flights. Second of all, Miami is a popular tourist destination for tourists all over the world. It has pleasant weather, nice beaches, many attractions, and there are many cruises which leave from Miami. With our new direct flight, we hope to turn Miami into a vacation spot popular with Israeli tourists as well. "Miami is also a gateway to Latin America, especially Central and South America. The new route will offer comfortable, direct flights to Israelis flying to the US and Latin America, as well as tourists and businessmen who live in Miami."